Quick breakdown: This invitational has been around almost 20 years- 19 to be exact and it's named after the esteemed emeritus Downers Grove North coach Bruce Ritter. Ritter is a pioneer who the first "unofficial" girls state cross country title in the late 1970s. Ritter racked up two official ones and several runner-ups under the IHSA disguise. So expect another edition of the Ritter Invite to fun-filled and exciting. The temperatures are expected to be in the lower 50s when the field events commence and certainly will drop a bit as the evening goes on. That will lead us to the prime time match in the long jump between Lyn'nikka Vance (Sr., Crete-Monee) and Raelyn Roberson (Jr., Glenbrook South). Both all-staters have the potential to do something spectacular at any given moment. Roberson is the defending 3A runner up and coming off of a great indoor season. Vance has been solid as well. Look for one or both to jump into the late 18-foot range. Vance and Roberson will later clash in the fast section of the 100m. The "mystery girl" has been hiding from us, but no longer is this the case we hope. 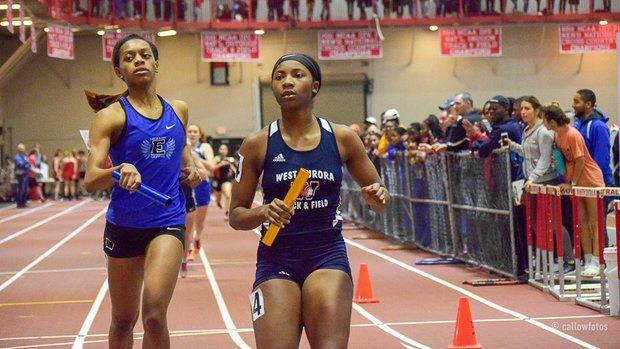 We have spotted Dajour Miles (Sr., West Aurora) in several events, one is her signature 400m where she comes in only IL#3 58.37. Our fingers are crossed in the event that she decides to turn on the jets and bust out another thrilling performance. The other two are the 200m and 4x400m relay. Let's hope she is in one or both of those events. If you thought we could release a preview without the great Katelynne Hart (Jr., Glenbard West) in it, you are wrong. She will take a step down after a tremendous US#1 performance in the 3200m at last weekend's Arcadia Invitational. Hart is entered in the 4x800, 800, and 4x400. This appears to be an effort to keep up the fast tempo work and variety until the post-season. Glenbard West will make a case to go after the state best in the 4x800 and Hart will run her best in the open if anyone challenges. Lyons Township will be a fierce opponent in both of those relays as will Prospect.